Lavishly illustrated with detailed watercolours throughout. 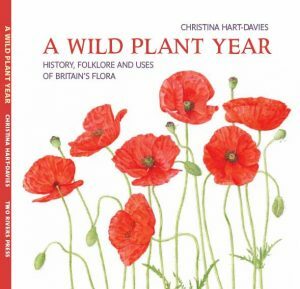 A through-the-year record of some of Britain’s native wild plants, their cultural history, culinary or medicinal uses and the stories that surround them. Now sold out, may be available second hand. 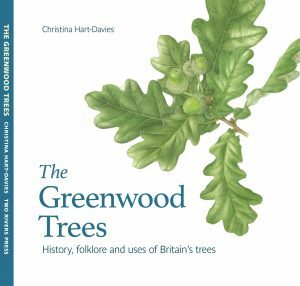 A look at some of Britain’s native trees (and a few favourite introductions), their history, uses and folklore. Lavishly illustrated with detailed watercolours throughout. 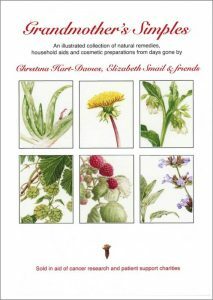 An illustrated compendium of natural remedies, household aids and cosmetic preparations our grandmothers knew. Written and designed by Christina, lavishly illustrated by her and sixteen other botanical artists, and sold in aid of cancer charities. 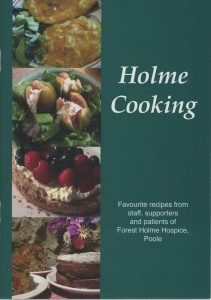 Favourite recipes from staff, supporters and patients of Forest Holme Hospice, Poole. Compiled, designed and produced by Christina for Forest Holme Hospice Charity. Packed full of scrumptious recipes from starters, snacks and main meals and desserts to cakes, sweet & treats and preserves. Line illustrations scattered through the text. All the proceeds will go to the Charity.